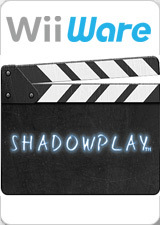 Shadowplay is a puzzle game developed and published by Deep Fried Entertainment exclusively for WiiWare on the Wii video game console. The shadow puppetry-inspired game play focuses on manipulating and combining the shadows of objects in order to create a larger shadow that resembles a particular thing, specifically animals, items, and symbols. The graph below charts the compatibility with Shadowplay since Dolphin's 2.0 release, listing revisions only where a compatibility change occurred.